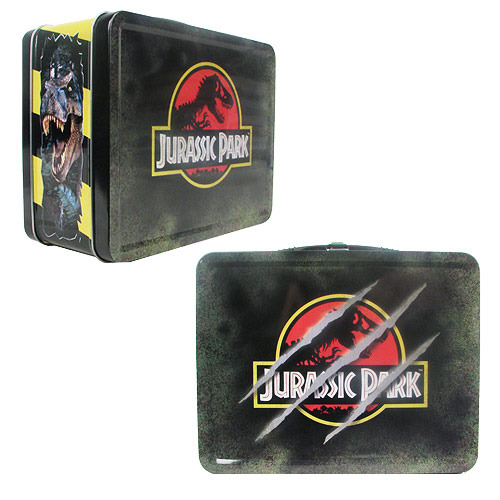 Use the Jurassic Park Retro-Style Tin Tote Lunch Box for storage, or perhaps for transporting dinosaur DNA, the choice is yours! This retro-styled tin tote has a sturdy all-metal construction, and is designed to look as if it came straight from the Park Gift Shop, with a little added dino-battle damage. After all, dinosaurs are not known for their table manners! Measures approximately 8 3/4-inches long x 7-inches tall. Ages 12 and up.